Try this wildly popular variation on an old favorite. Start out on Easy then work your way up to Medium and Hard to become a real pro. The object of the game is to build eight sequences in suit from king to ace. You may build down, regardless of suit. If cards are both in suit and in sequence, they may be moved as a block from one tableau pile to another. When a space is created, it may be filled with any available card or build. Slot Machine lets you carry the excitement of Las Vegas. Slot Machine has a easy to use interface to recreate the real Vegas experience. An exciting and challenging Dice Game where you play against 3 opponents with dynamically changing difficulty! Use your card skills to fill the realm with magical towers in this addictive solitaire game. This tripeaks solitaire game has delighted players around the world with its simplicity, playability and atmosphere. This update tweaks and improves all these elements. Everyone has a favorite superhero right? 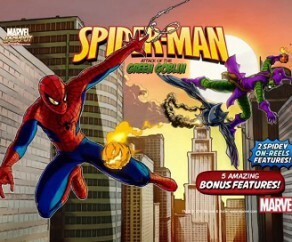 I guess maybe it depends how old you are but I am going to pin my colors on to the webbed wonder. What really could be cooler than the ability to swing on a web you shoot from your wrist. Actually that sounded ruder than I meant. So I am going to concentrate ..
Mafia Smuggling Slots takes you back to the 1920s with its themed music and symbols like a cigar, deck of cards, stack of cash, tommy gun, and iron knuckles. Mafia Smuggling Slots is an awesome slot machine simulator that can be played on both Facebook and Android. Maria Smuggling Slots includes you.. Collect loads and loads of coins! Its raining coins - click the falling coins to make change. Score Time Bonus for speed. Score Exact Change Bonus for using the fewest possible coins. Powerups! Bonuses! Achievements! Gamble Cards is an cards gamble game. Every game you get 10 turns and 3 spins per turn. There are 10 bars that give you an card. How more cards from the same symbol the better. How more cards from the same type the better. How higher the type the better. Score so many points as possible and get an h.. Play Ocean Princess slot demo from Playtech, with 5 pay lines and 5 reels. This strange looking slot brings you all the feel of a classic slot game with the added bonus of a 5 reel multiplier. If you've played video poker before, get ready to take it to a whole new level. 7 Minute Bash is like video poker on steroids. 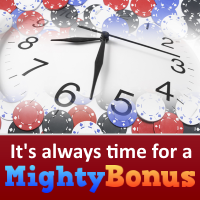 A unique game of chance, skill & strategy – with 7 minutes to make as much money as you can, it's a race against the clock and a frantic grab for cash! Double up yo..